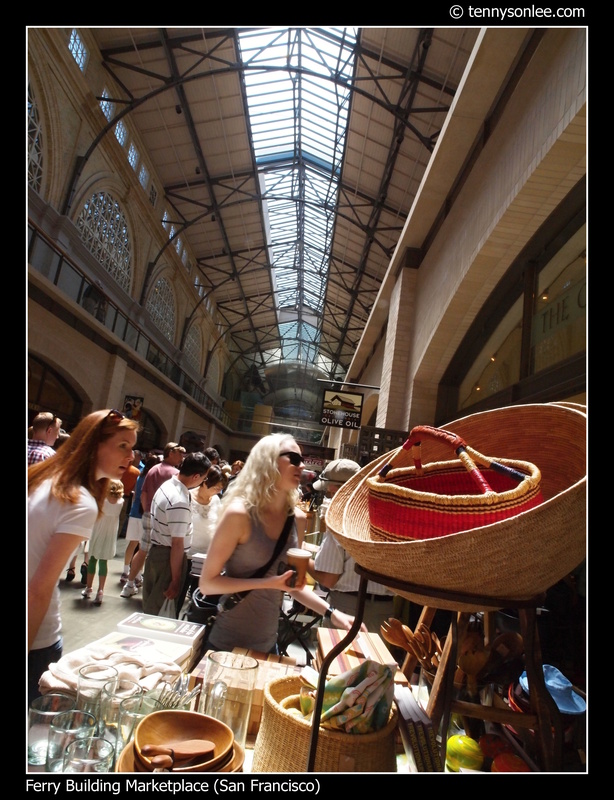 If you like to sample San Francisco foods, the marketplace in Ferry Building would be a better choice than Fisherman’s Wharf or Chinatown. There was food heaven hidden is this building used a ferry station. As a first time visitor, I won’t know which store served good food. So I would follow the queue. The queue for Roli Roti was the longest (more than 30 people in front of me). 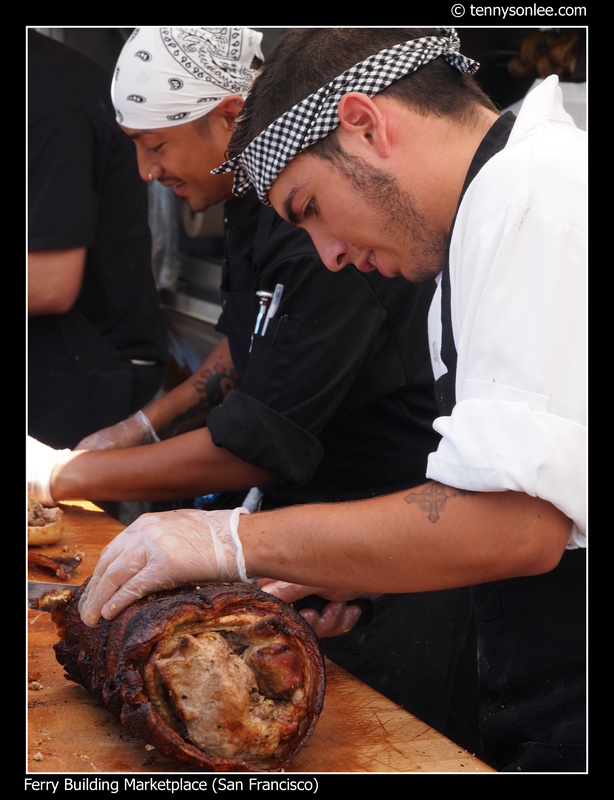 I ordered the Porchetta Sandwich. Verdict? 3 out of 5 stars because I not a fan of fatty pork meat. 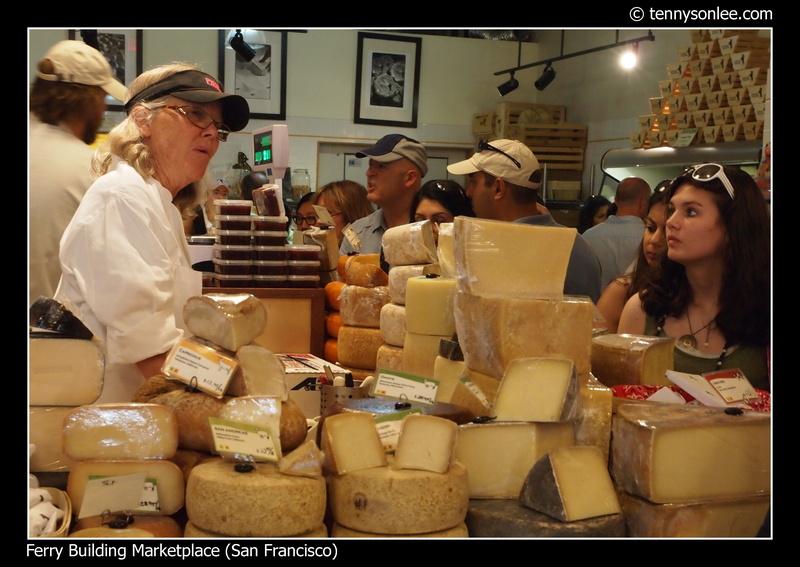 There were plenty of specialty stores inside Ferry Building, like cheese store (very popular) with free sampling. 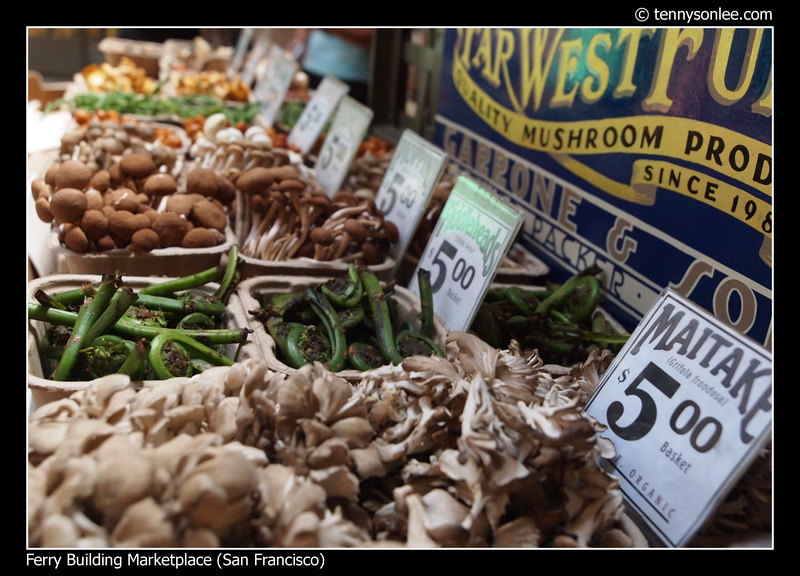 There was even a store just selling fungus and mushroom. I never seen so many variety of edible fungus. Even donut has mango-chili flavour. 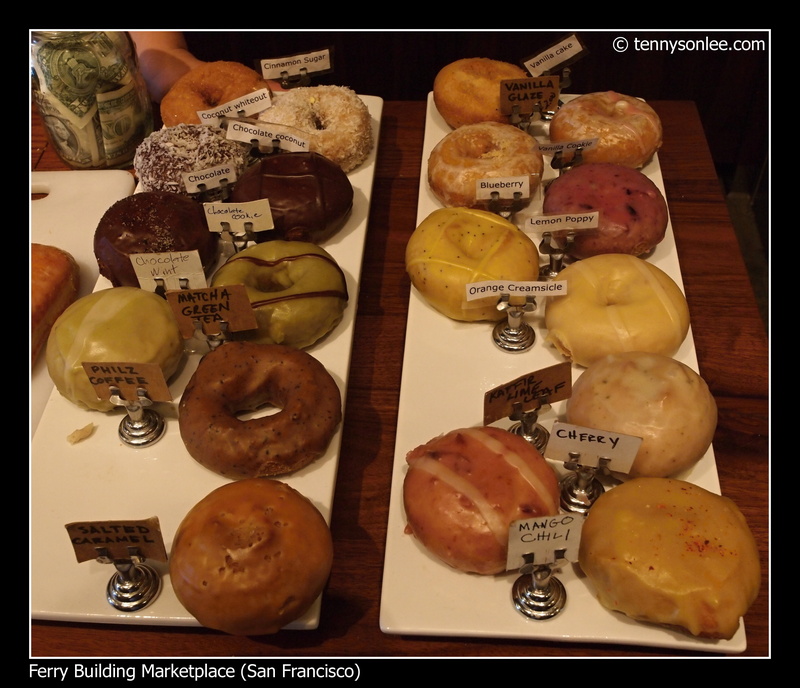 Visitors could buy and eat on the spot, so I tried different pastries and snacks while walking around. 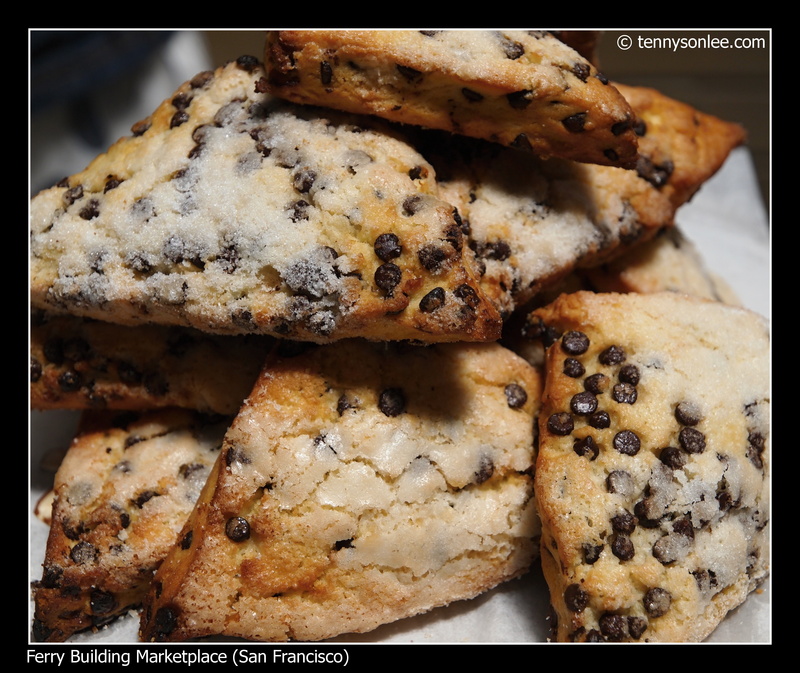 The pastry went well with freshly brewed coffee. 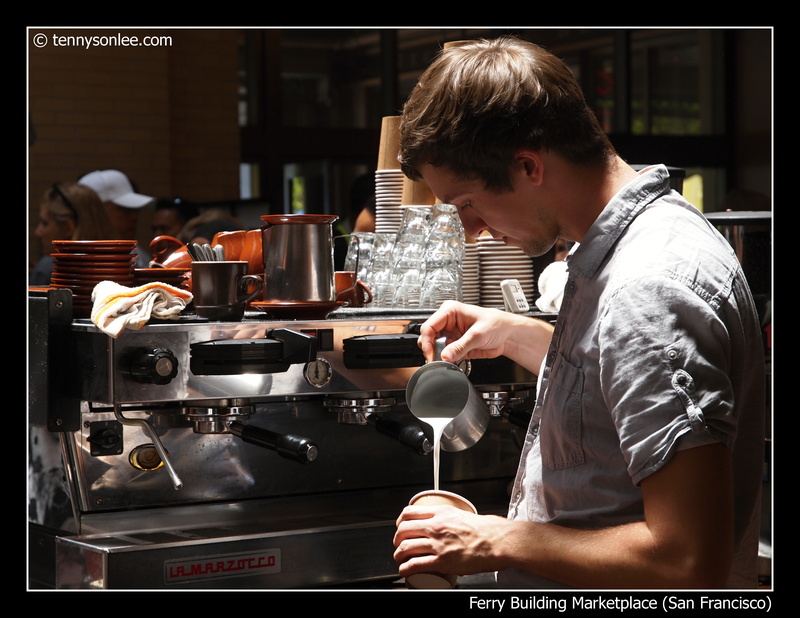 I queued up (again) for 20 minutes at the Blue Bottle Coffee to get a hot latte. They brew each cup of filtered coffee individually, which contributes to the long queue. The inner architecture also pleasant for the eyes. The transparent roof provided a cozy ambience that contribute to the relaxing dining experience in the marketplace. Most of the visitor will sun bath behind the Ferry Building and enjoy the good view of Bay Bridge (looked alike Golden Gate Bridge). 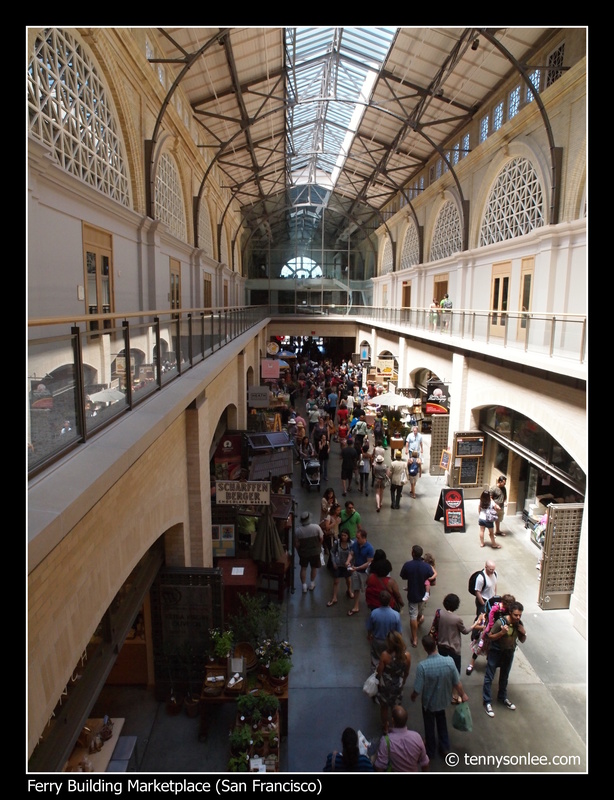 A stroll on the first floor gave visitor a different view point of the market. Of course, nothing compared to taking time visiting each store and satisfy your taste buds. 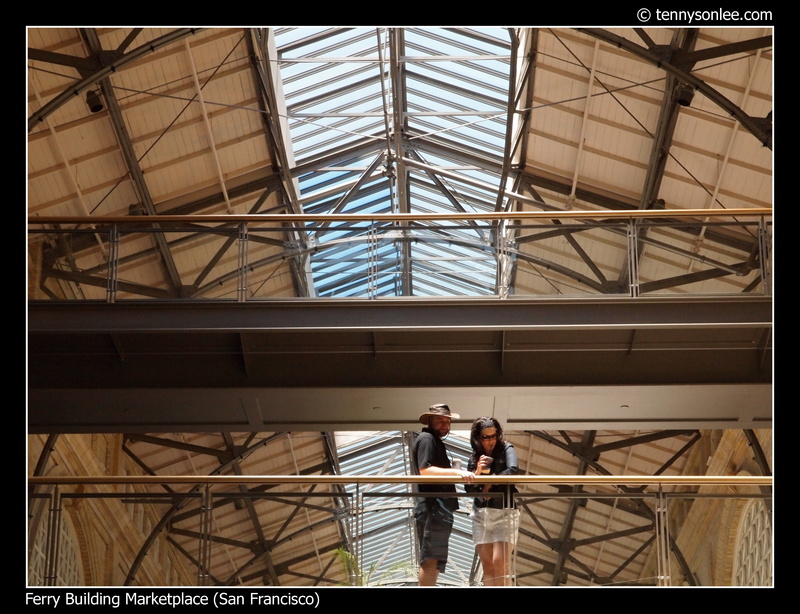 Well, you can search Tripadvisor or other website to see the review of Ferry Building Marketplace. As for me, I truly enjoy the Farmer’s Marketing outside the building and also the great food variety in the marketplace. 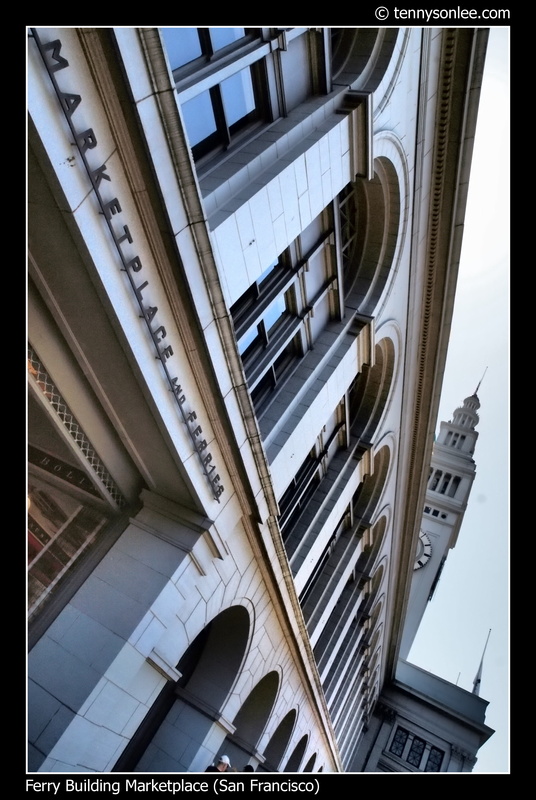 Highly recommended venue to visit while you are in San Francisco. This entry was posted on July 2, 2011 by Tennyson. It was filed under California, Food, Places, United States .